Among the more luxurious options close to the airport, this 178-room, 4-star hotel offers a range of accommodation, including apartments and suites. Among the hotel's facilities is a spa, a combined restaurant/lounge, extensive meeting and conference space, a golf course and an outdoor pool. The Ibis boasts a restaurant, bar, swimming pool and terrace. 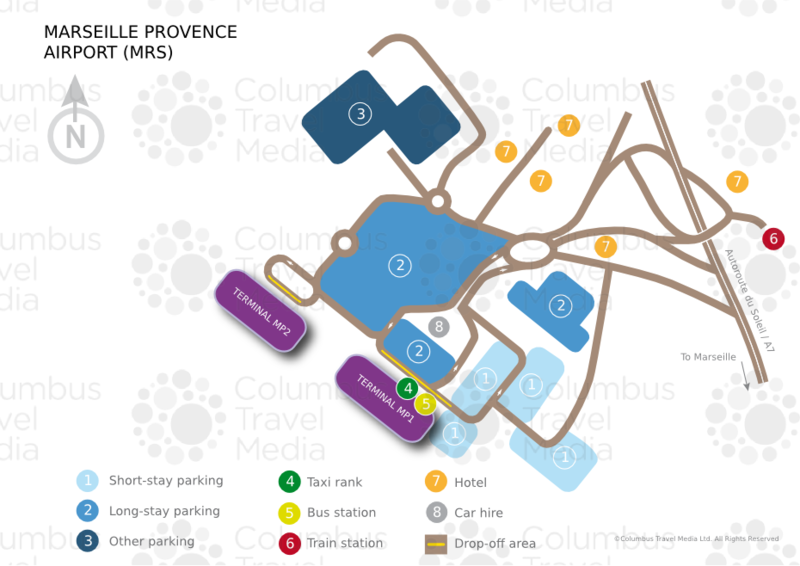 The 125-room property is just 500m (1,640ft) from Marseille Provence Airport, but a free shuttle service to the terminals is available for guests. Boasting 120 rooms, an on-site restaurant, five meeting rooms and a 24-hour reception, the Best Western Hôtel Marseille Aéroport is immediately opposite the airport terminal building. It also has a range of leisure facilities, including an outdoor pool, fitness room and tennis court. Five minutes by complimentary shuttle from Marseille Provence Airport, the Golden Tulip offers meeting rooms, an outdoor pool and restaurant with terrace. A choice of standard rooms and suites is available. The 117-room Aéroport Marseille Provence offers basic, but clean and modern accommodation (for up to three people per room) in a typically French style. A breakfast buffet is included in the room rate, along with free Wi-Fi internet and complimentary parking.